Warrington thrashed Leeds to give Dave Furner a tough start to his tenure as Rhinos head coach. The hosts took a 20-0 lead into the break thanks to tries from Stefan Ratchford, Josh Charnley and Daryl Clark. Debutant Blake Austin added to the Wire’s lead after the interval. The Rhinos kept pushing in search of some points and eventually scored a consolation with four minutes to go when Stevie Ward battled his way over. Despite the heavy defeat Furner will be left wondering what might have been in his first Super League game. Ash Handley looked set to claim the first points of the match for the visitors only for Jack Hughes to take him out just before he caught the ball with a clear run in and Leeds were unable to make the most of their extra man. Indeed, it was during Hughes’ time in the sin bin that the Wolves scored their first try, with Ratchford showing neat footwork and good strength to get the ball down on the line. 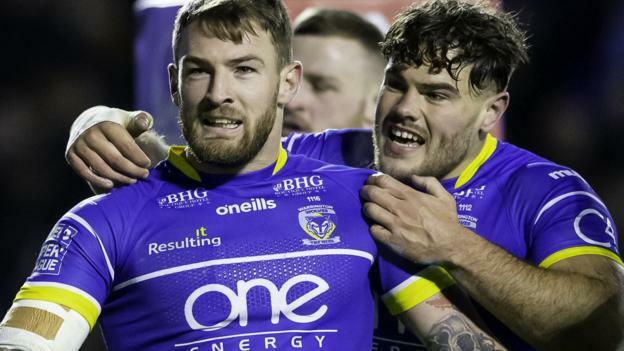 The Wire added two further scores before the break to take total control before National Rugby League import Austin put the game out of sight after half-time. Leeds travel to champions Wigan on Friday, while Warrington host Hull KR on Saturday. Warrington: Ratchford, Lineham, Charnley, Goodwin, Atkins, Austin, Patton, Hill, D. Clark, Cooper, King, Hughes, Westwood. Replacements: J. Clark, B. Murdoch-Masila, Philbin, Walker. Leeds: Walker, T. Briscoe, Handley, Watkins, Hurrell, Lolohea, Myler, Cuthbertson, Parcell, Merrin, Ferres, Ward, L. Sutcliffe. Replacements: Dwyer, Singleton, Donaldson, Oledzki. Previous articleUN Khashoggi probe wraps up in Turkey: what next? Next articleIs the world facing the threat of a new arms race?